200 years ago two cultures, two peoples, started living beside each other at what is now the Marsden Cross Historic Reserve in the Bay of Islands. This became the first permanent European settlement in New Zealand. Ranger Helen Ough Dealy tells us more about the site and its upcoming bicentennial. This blog post was originally posted on the Explore Group’s website. 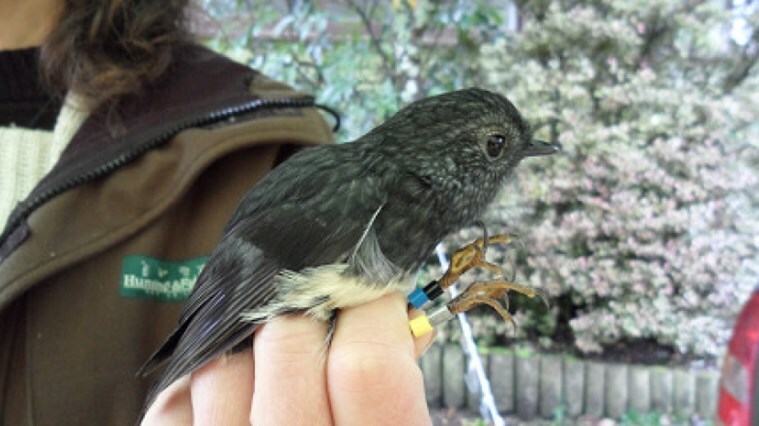 The Project Island Song partners—the Guardians, Ngati Kuta and Patukeha hapu and DOC—recently translocated 43 North Island robin/toutouwai from Pureora Forest in the central North Island to a new home on Moturua Island in the Eastern Bay of Islands/Ipipiri. Dr Kevin Parker from Parker Conservation and Massey University lead a large team of 20 which doubled as a training exercise for groups from both Pureora and the Bay of Islands. 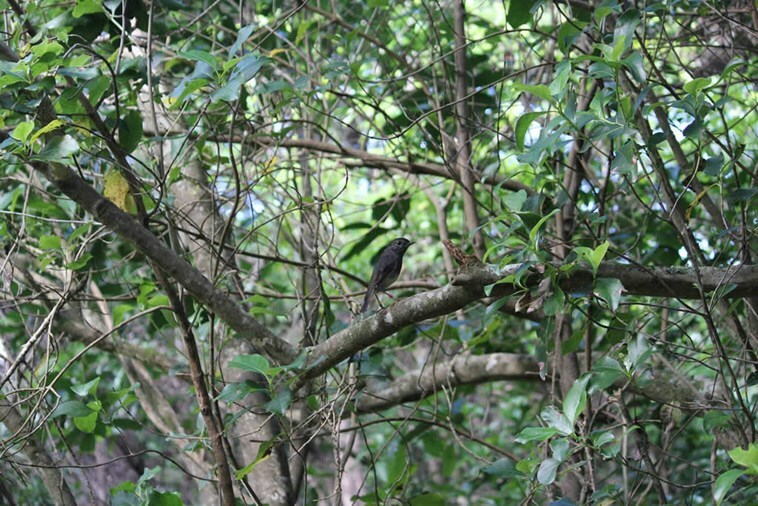 The translocation was initiated between the hapu from both areas. 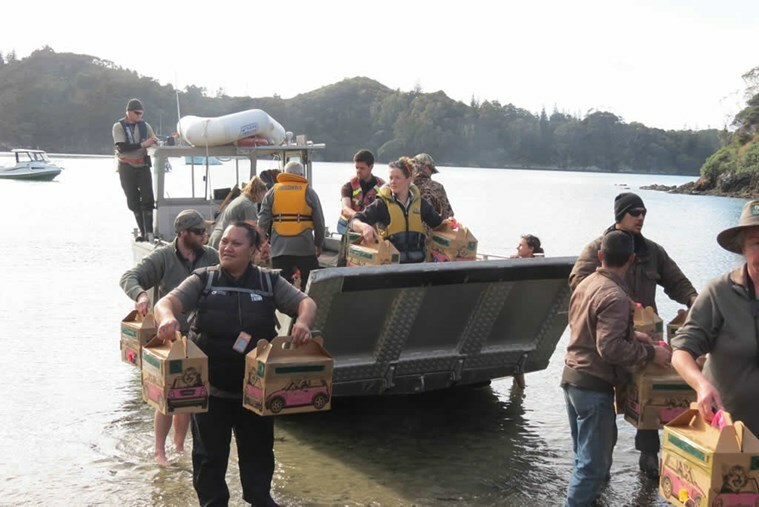 Firstly, a team from Nga Hapu o Rawhiti in Pureora went ahead to locate and pre-feed the birds, then the full crew arrived for three days of catching. The catching was mainly done using clap traps, with some mist netting. The male quota of 25 was caught by the middle of the second day, but the females proved a bit more elusive, with 18 caught by the end of day three. The toutouwai were then transported to Paihia overnight in a campervan provided by Wilderness Motorhomes, and then taken to Moturua Island the next morning where kaumatua and kuia were there to welcome them along with around 50 people who were transported to the island by the Explore Group. This was Project Island Song’s first wild to wild translocation. To find out more visit the Project Island Song website. 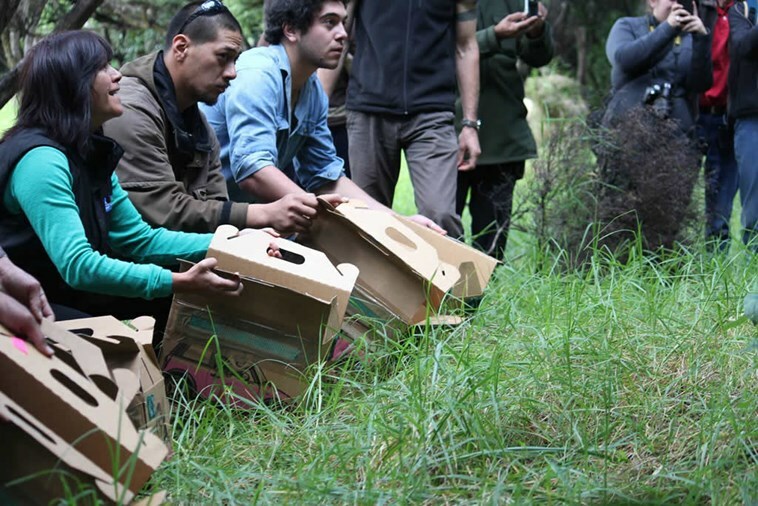 The Department of Conservation recently organised a kiwi aversion training day at Puketi Forest in the Bay of Islands. The training course was well supported with over 60 dogs and their owners attending ― luckily for the trainers not all at once! 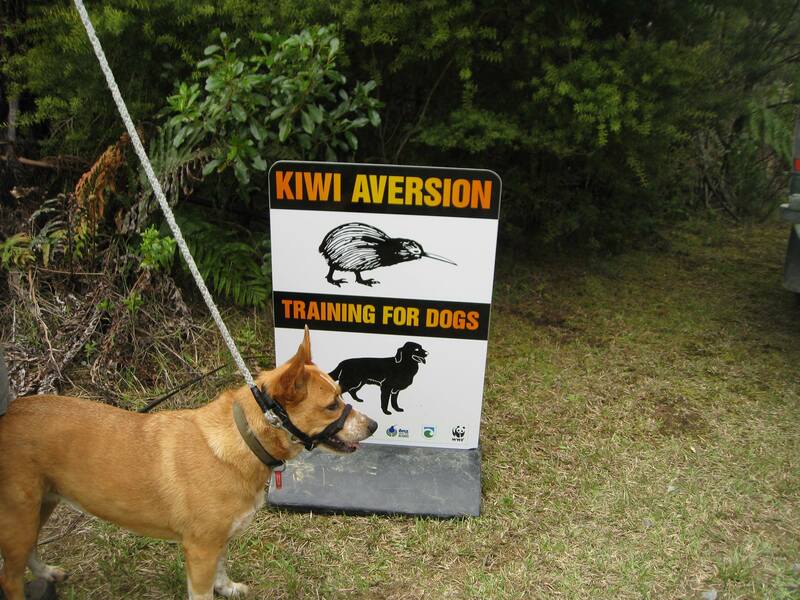 The training days are a really important lesson for any dog that is likely to encounter a kiwi. It is an important tool in teaching dogs that kiwi are something they should stay away from. As part of the training three model kiwis are placed along a small bush track. 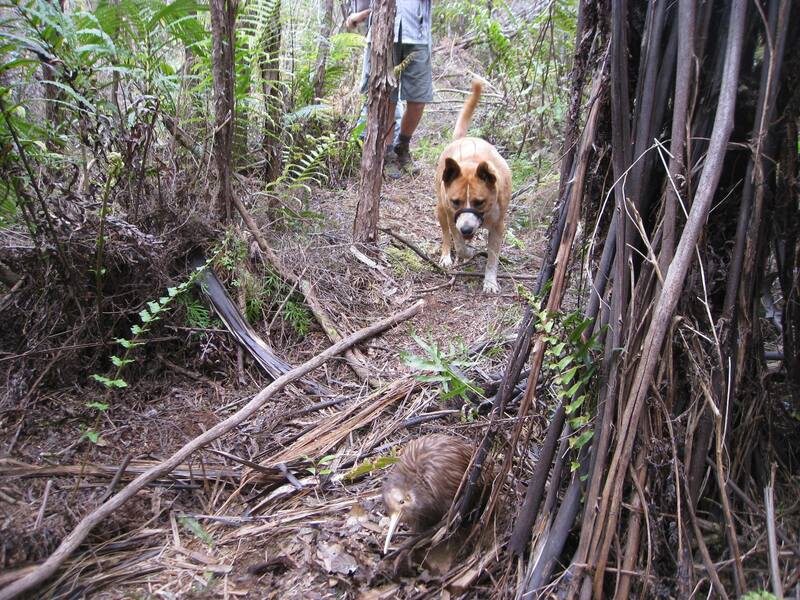 The dog wears a collar and receives a mild electric shock when they pass and sniff the kiwi. Generally they only need one shock and they learn to avoid the next bird. I took my dog Nichol, and I was amazed at how fast the process worked and how the dogs learn to avoid the kiwi so quickly. 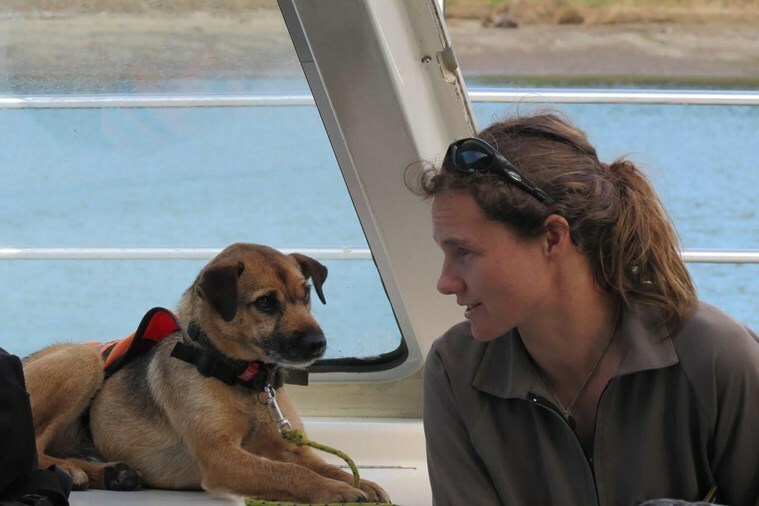 The training is not foolproof and it is recommended that dogs complete the training each year, but many kiwi could be saved if all dogs went through this simple and effective training.